Step 1) Download and install the AVID DNxHD codec pack for Windows by clicking here: AVID DNxHD codec pack for Windows. This will download as a zip file which you will need to extract, and then double click on the file AvidCodecsLESetup.exe to install. 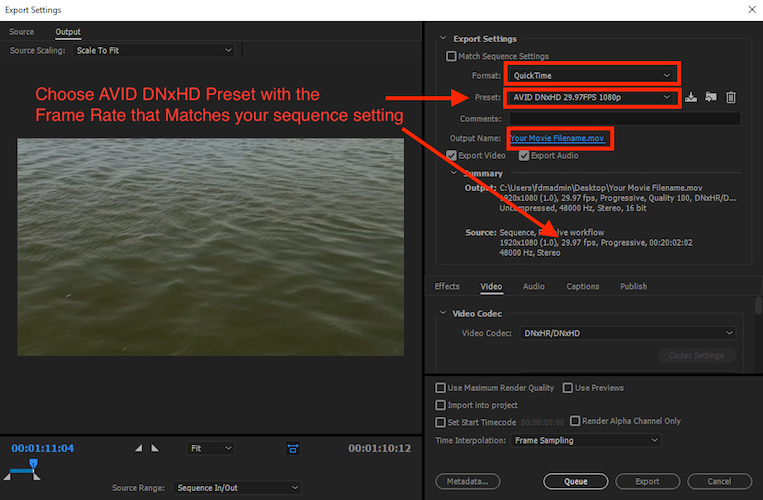 AVID DNxHD Presets for exporting on Adobe Premiere in Windows or Mac. This will download as a zip file. Double click on the zip file to extract the two .epr files. 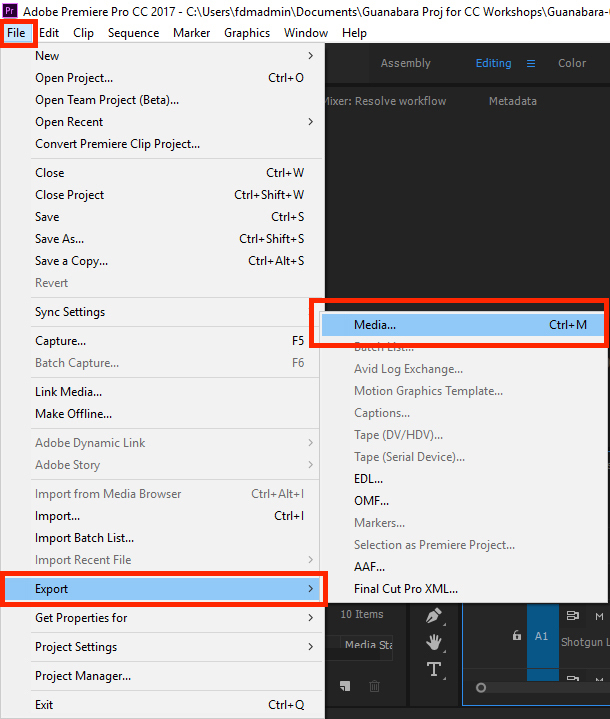 Next open the application Adobe Media Encoder (it comes with Premiere) and choose the menu “Preset”, and then “Import”. Navigate to the two .epr files that you downloaded and import them. Quit Media Encoder. For Preset, either AVID DNxHD 29.97FPS 1080p or AVID DNxHD 23.97FPS 1080p, depending on the frame rate of your sequence. You can check your frame rate under the Source section of this same window to verify which preset you should use. Under Output name, click and give you film a unique name, and choose location on your hard drive to save the file. Please note, this file type is a high quality screening format which will only play in VLC on newer Mac systems. This is fine for our screenings because we use an older Mac laptop which supports this file format natively within iTunes.